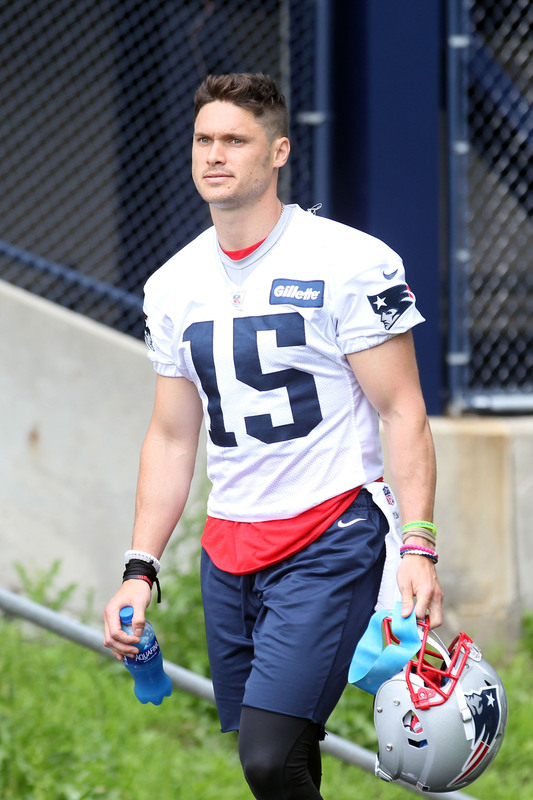 The Panthers signed former Patriots wide receiver Chris Hogan to a one-year deal, according to a team announcement. Hogan will give the Panthers additional veteran experience in the WR group alongside fellow 30-year-old Torrey Smith. Mike Reiss of ESPN.com hears that Hogan will earn a $300K signing bonus and that the contract is worth a maximum of $2MM. Reiss notes that those are very modest numbers considering what Hogan was asking for in extension talks with New England last year. Last year, Hogan hauled in 35 catches for 532 yards and three touchdowns for the Pats. Those numbers don’t exactly jump off of the page, but he did impress in 2016 when he had 680 yards and four touchdowns with a league-leading 17.9 yards per reception. Despite the regression in production, and the shoulder injury that held him back in 2017 regular season, Hogan broke out in the Pats’ Super Bowl loss to the Eagles as he caught six passes for 128 yards and a touchdown. He also made an impact in the Pats’ AFC Championship Game win over the Chiefs in January as he caught five balls for 45 yards. We didn’t hear a whole lot of chatter about a new deal between the Pats and Hogan this offseason. However, he did draw interest from the Giants at one point in March. Hogan will join Smith, D.J. Moore, Jarius Wright, and Curtis Samuel on the Panthers’ WR depth chart. I’m pretty surprised that the Patriots didn’t keep Hogan because I don’t remember them being overly deep at WR. Am I wrong about the depth, or was this more of a salary cap issue?